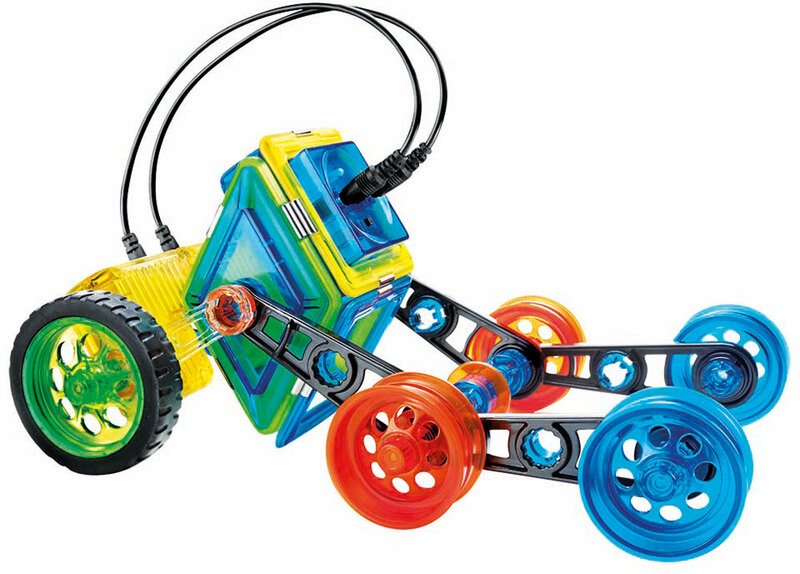 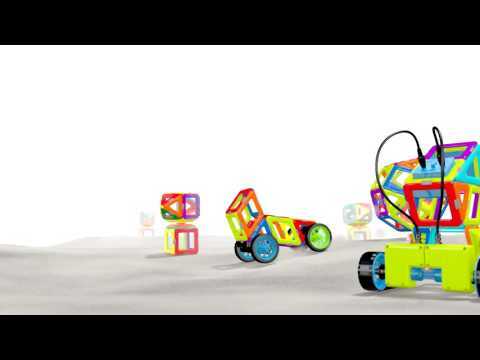 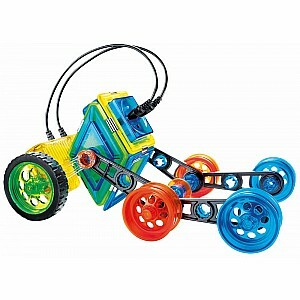 Snap the colorful magnetic shapes together, add the rechargeable receiver and you've got a bot that's ready to race! 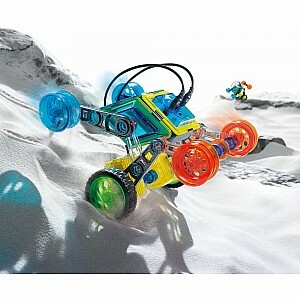 Grab the remote control and watch it flip with every change of direction. 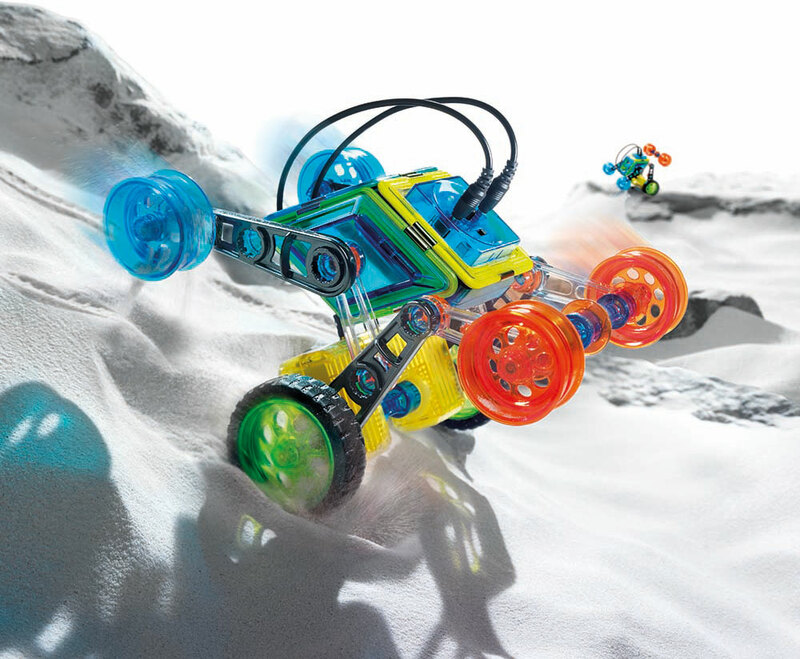 Engineering meets action. Requires 3 AAA batteries. 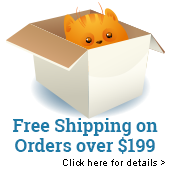 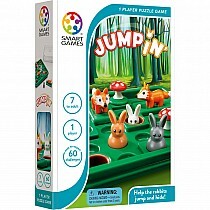 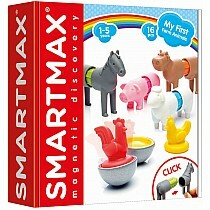 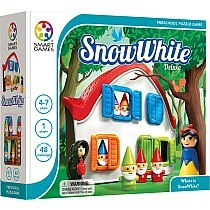 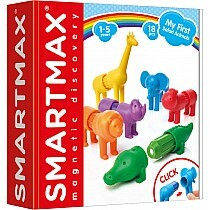 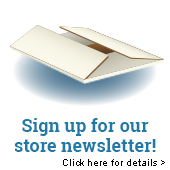 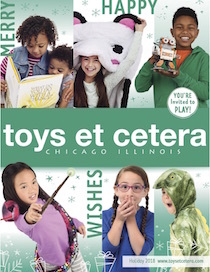 For ages 5-10 yrs, from Smart Toys & Games.